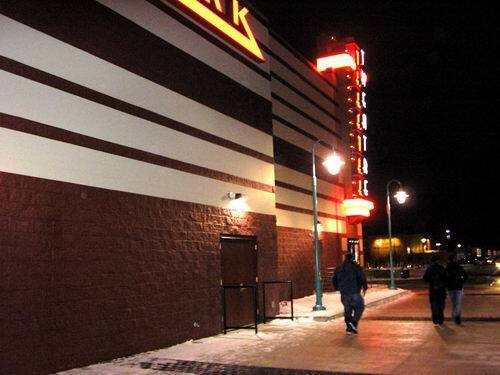 Jack Loeks theaters bought both Grand Rapids area Cinemark. Starting June 27 they will be called Celebration Cinemas. 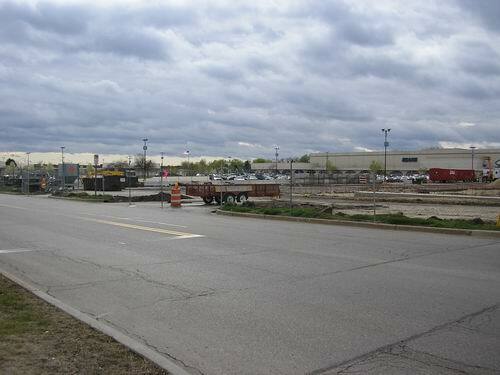 Here''s the story from GR Press Loeks buys two Cinemark theaters Sunday, June 17, 2007 By Jake May The Grand Rapids Press Long-time theater owner John Loeks has gone to the movies a lot lately, though not necessarily to catch a flick. He was on a spy mission -- part of his plan to buy the Cinemark theaters at Woodland Mall and RiverTown Crossings mall. I''ve been secretly visiting these theaters to scout their employees, Loeks said on Saturday when he announced he was buying both theaters. And I have found some great ones. We hope to transfer much of their staff. We want to give them an opportunity to take employment with us. Effective Friday, Loeks'' Celebration Cinema theaters will take over two Cinemark properties, Woodland Mall''s 14-screen theater and the 20-screen property at RiverTown Crossings. Both Cinemark theaters will close Wednesday and reopen as Celebration Cinema theaters June 27. The two theaters will reopen in time for the first showings of Live Free or Die Hard, said Ron Van Timmerman, executive vice president, marketing. Most of the shutdown will focus on interviewing and training staff. Those theaters may need more employees than it has now, he said. Closing for a week in June is painful, Van Timmerman said, but the acquisitions need lots of work. We''ll sacrifice a week in June to be ready for July 4, he said. July is our busiest month. The purchase will give Loeks'' company 170 screens at a dozen theaters, most of them in West Michigan. We''ve been talking since last October, Loeks said. But it got really serious about two months ago. we''ve been looking to expand, and we''re content to keep our theaters in Grand Rapids. This is our territory, our style, our philosophy. Grand Rapids is our home. It''s where we live. Loeks would not disclose the amount of the purchase agreement at this time. But, he said it will cost an estimated $500,000 to make the transition. Steve VanWagoner, Celebration Cinema''s vice president of marketing, said the estimate covers changes including reworking concessions, projection booth equipment, ticket centers and signs. Loeks recently converted all its local theaters from traditional film to digital projection, and plans to convert the newly acquired locations by the end of the year. We have to take a Coke establishment and change it to Pepsi, VanWagoner said. There''s some small modifications that need to be changed before we reopen the theaters. The employees at both Cinemark locations were informed of the purchase Saturday morning and are interviewing for jobs with Celebration Cinema. 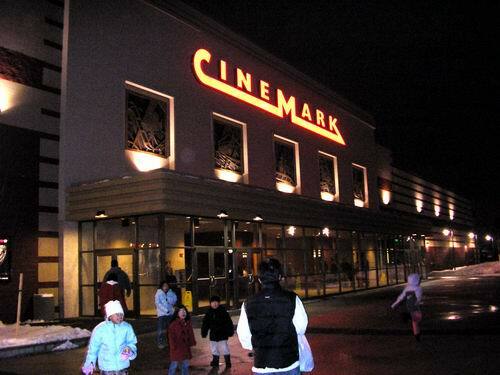 Loeks said Cinemark plans to pay their its until the purchase is completed. -- Press reporter Julia Bauer contributed to this story. 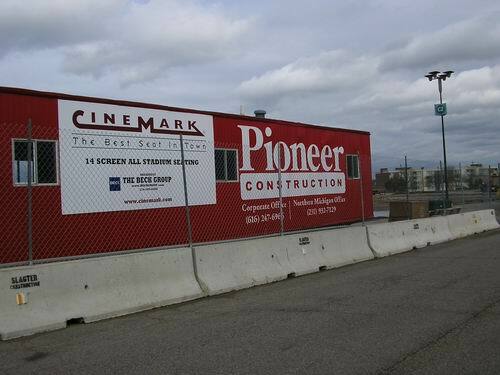 The Cinemarks in Grand Rapids have been bought out by Loeks. http://woodtv. com/Global/story. asp?S=6668079 Loeks buys Woodland, Rivertown theatres Updated: June 16, 2007 07:56 PM GRAND RAPIDS -- The parent company of Celebration Cinema, Loeks Theatres, will purchase the Cinemark Theatres at the Woodland Mall and at Rivertown Crossings. In statement released Saturday afternoon, Celebration Cinema owner John Loeks said more movie-goer dollars can stay in the local economy. That''s exciting for us and the community. With our recent conversion to digital cinema, planned upgrades to Studio 28 and a blockbuster summer, we feel great about the timing of this transaction. 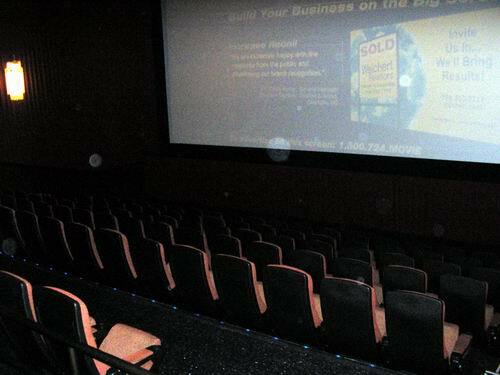 The Woodland Mall theatres have 14 screens, while there are 20 screens at Rivertown Crossings. Celebration Cinema will take over the two theaters on June 22, 2007. The theaters at Woodland Mall and at Rivertown will close on June 20, and reopen to customers June 27. As part of the transition, Celebration Cinema will rework the concessions and point of purchase area. Current employees of the Rivertown and Woodland Cinemark will have an opportunity to interview with Celebration Cinema to keep their jobs. Stay with 24 Hour News 8 for more on this story as it becomes available. I went to the new Cinemark Kentwood tonight, and it aint bad at all, sans a few kinks here and there, such as the projectionist starting the film off-frame. Its your typical Cinemark build, with two-tier stadium seating and digital stereo sound. The projection booth windows are big, probably to accomodate digital projection when/if the theatre gets it. The biggest downfall to the new Cinemark is the parking situation; the best parking spots are actually *behind* the theatre, while a huge area that used to be Woodland Mall parking lot has been renovated to look all garden-y. Plus, theres a new On The Boarder restaurant next to the theatre opening soon. In all, the new Cinemark Kentwood aint bad, and their prices are on-par with everyone else in the area. Its too bad, though, that they didnt have the theatres main entry facing the parking lot. I will hopefully have pics in the not-to-distant future, thats if I dont get chased away by security or if somebody doesnt take them first. 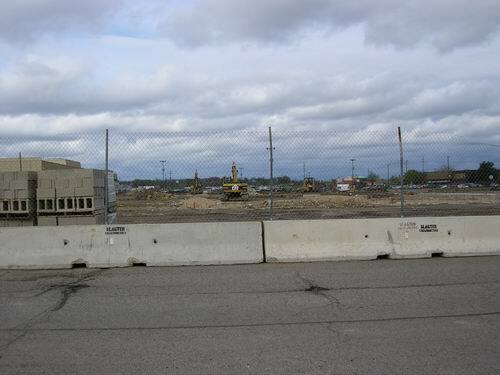 I just found out today that Cinemark is building a new 14-screen theatre at the Woodland Mall here in Kentwood. Its only a few hundred yards from the old Movies at Woodland. According to one of the malls workers, it should be open after October.